"Energy is the essence of life. Every day you decide how you're going to use it by knowing what you want and what it takes to reach that goal, and by maintaining focus". Get the Monica (Msfit31) on Twitter widget and many other great free widgets at Widgetbox! 1. Eliminating all junk foods like like snack foods, pizza, desserts, pasta, bread, and dairy products. 2. Exercise to increase lean muscle mass. Resistant training is highly recommended!!! 3. Have your thyroid checked if you're not losing fat. One in two Americans has an under active thyroid. 4. Not enough protein is consumed for breakfast. Protein regulates insulin levels, when you eat high sugar meals, your insulin levels become elevated, you store fat. 5. Cut out the butter, salad dressing, fried foods,cookies, candies. 6. Keep your sugars to minimum. 8. Eliminate or minimize your alcoholic drinks, because it only slows down the metabolism. 9. YOU must EAT at least 5 small meals everyday! If not your body goes into starvation mode, where it uses muscle for energy and leaving you fat. * Never skip a meal! 10. Visualize your success. Look into the future; see yourself stronger, leaner, looking and feeling years younger. Don't Give Up on Your New Year's Resolutions! It's been three weeks since the New Year. I would like to know how are the new "be more fit and healthy" plans are coming along!! It's ok if you're not keeping up with your goals; all you have to do is TRY AGAIN!! Remember why you wanted to do this at the beginning of the year and continue for the rest of the year.Don't ever give up! Please do NOT view yourself as a failure. The only time you fail is when/if you quit. * Statistics show that most people do not succeed their first time trying. Not of your persistence! If you’re using your intelligence, nothing can get in the way of your success! -What were your fitness goals? 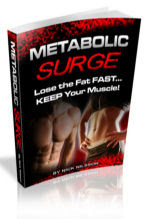 Did you want to lose fat, gain muscle, or be healthier? -What did do for your strength training routine? -How long was cardio session? What was the intensity? -When did you stretch for flexibility and how long did you hold each stretch? -How do you plan your daily menu? Did you keep track of your daily menu, workouts, measurements, weighing, and having your body fat checked? Please let me know how you're coming along! Wondering if you're gaining fat instead of mucle? or losing muscle instead of fat? Here's a great article on Losing fat and gaining lean muscle mass the right way. Click Here! For more Information! 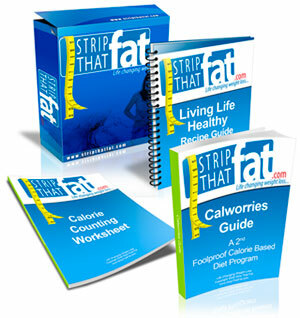 Get Warp Speed Fat Loss Now... Click Here!